Category: Select Your Folding Multi-Use / Utility Trailer Combo. Depending on what you need to carry – will depend on the accessories you need to buy. Now you can haul just about anything without wondering where to store your trailer. Bulldog Folding Trailers fold up so small, storage is a breeze: Just wheel it into your garage, drop it into the back of the ute, or keep it in the boot of your car. The patented s design is the envy of other so-called folding trailers. Those other trailers merely stand upright and shorten in length, they don’t fold lengthwise like Bulldog Folding Trailers. As the world’s only true folding trailer, no disassembly is required: You can literally fold or unfold it in 60 seconds. And less time fussing with your trailer means more time putting it to work. Send us an email regarding the price of this basic model “naked frame” and we will assist you with what you need. Your Bulldog Folding Multi-Use Trailer can be customized any way you like. Buy only the accessories you like, or build your own custom solution. 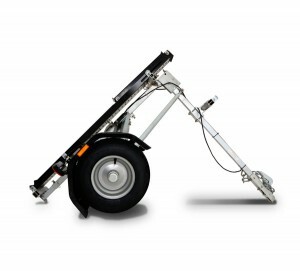 At just 60kg, Bulldog Folding Trailers are easy to handle. But don’t let the light weight fool you. 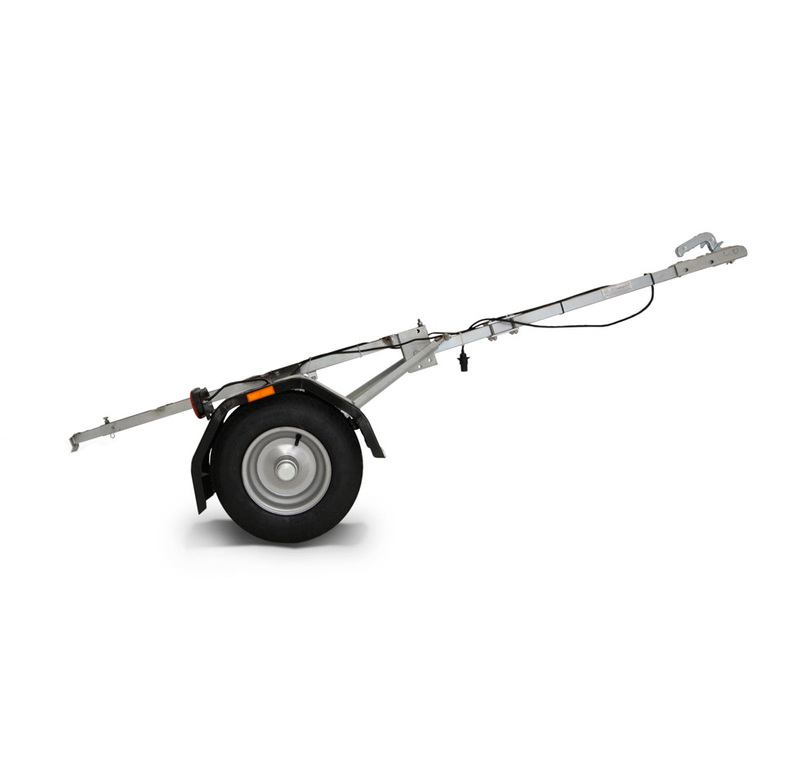 Each Bulldog Folding Trailer is made of high-strength steel that’s hot dipped galvanized inside and out, and all fasteners are 304 stainless steel for extra yield and tensile strength. All of this means that Bulldog Folding Trailers can withstand towing speeds and distances equal to that of traditional rigid motorcycle trailers, without taking up the space of an extra car in your garage or driveway. Still not sure if this is the right trailer for your specific use? Have questions about licensing a Bulldog Folding Trailer in your state? We’re here to help…just give us a call or email us to ask us your questions. Our team works on a strictly “non-commissioned” basis, so you don’t have to worry about any high-pressure pitches or sales tactics. 12-Inch – Tyre Size 4.8-12 available now.